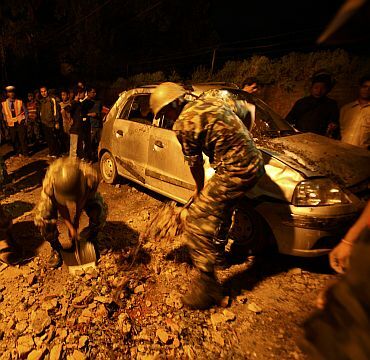 Battling landslides and torrential rains in quake-hit Sikkim, rescue teams got into full swing on Monday as the death toll in the 6.8 magnitude quake mounted to 72, including 41 in the Himalayan state. 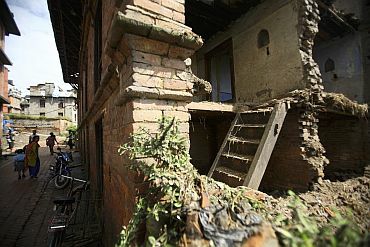 Sunday evening's earthquake with its epicentre near the border with Nepal left a trail of devastation damaging roads, buildings and other structures, uprooting mobile phone towers and snapping communication and power lines. 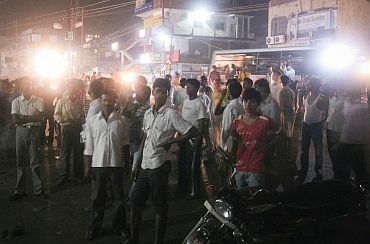 Aftershocks made people panic in several areas, forcing them to spend the night outdoors. Union Home Secretary R K Singh said nothing can be ruled out as people may still be trapped under the debris of collapsed houses, since rescue teams were still trying hard to reach remote villages. Food packets were air dropped in inaccessible quake-affected areas. Two medical teams with doctors and paramedics reached worst affected areas like Mangan and Sangthan with the help of helicopters. The Border Roads Organisation has been able to reopen the Himalayan state's life line -- the National Highway 31-A, Singh said. Western and southern districts in Sikkim remained mostly inaccessible to the Army in the earlier part of the day due to landslides and inclement weather. Rescuers were facing an uphill task to reach these areas, said Major General S L Narasimhan, GOC 17 Mountain Division. Sikkim accounted for 41 deaths alone, with most casualties taking place in the North District and in towns and villages like Rangpo, Dikchu, Singtam and Chungthang located along the course of Teesta river, officials in the district control room said. The home secretary said ten bodies of employees of the Teesta Hydro Electric Project were recovered from the debris in Singtam. The overnight toll climbed to 72, which included nine deaths in West Bengal and eight in Bihar, seven each in Nepal and Tibet, official reports said. Over a hundred people have been injured. Twenty two people travelling in a bus have been missing since Sunday evening in north Sikkim. A spokesman of the 17 Mountain Division said the army had not been able to find the missing bus which could be anywhere between a radius of 10 and 15 km along Mangan and Chungthang in north Sikkim. Rescue workers struggled hard to clear boulders, which came tumbling down following the quake, blocking roads. Panic-stricken residents of the affected areas spent a sleepless night apprehending more tremors braving cold, chilly winds and pouring rain. An official update in Delhi on Monday night said NH 55 from Bagdogra to Darjeeling has been restored and the highway from Darjeeling to Nathu La is expected to be cleared by 6 pm on Tuesday. Ten doctors have been airlifted to Chungthang in North Sikkim and medicines are being airlifted to Bagdogra from where they will be sent to Chungthang. Twenty medical detachments have been deployed by the army," the official update said. The optical fiber link to Gangtok, which had been disrupted, has been restored now. The Army has opened relief camps for 2,000 people and the ITBP opened camps for 400 others. "In the entire operation, 5,500 army personnel were engaged apart from 700 ITBP personnel. The BRO has done a commendable job by reopening the highway linking Gangtok with Siliguri on Tuesday afternoon," the home secretary said. Singh said the Sikkim Power Corporation has been able to restore power connection partially while landline telephone connections with Sikkim are functioning normally. Nine helicopters were engaged in carrying out rescue and relief operations -- mostly in worst-hit North district -- despite the poor weather. Narasimhan said the Army has launched 'Operation Madad' in Gangtok and other areas. "We are also sending teams to Darjeeling and Kalimpong (in West Bengal)," he said. 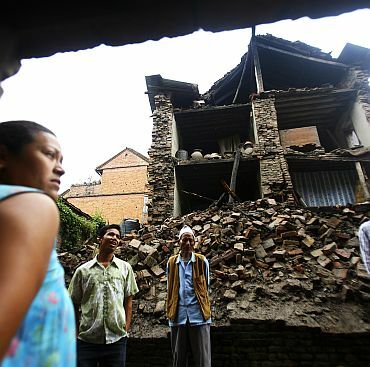 Nearly 400 people from quake-hit areas in North Sikkim have been rescued and taken to safe locations, the Indo- Tibetan Border Police said. 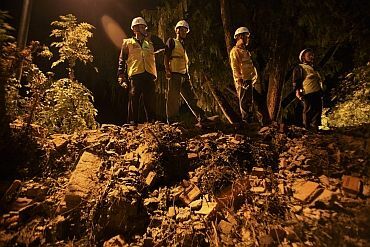 Twenty six tourists, including international visitors, were also taken to safe places and the road connectivity in the worst-hit Pegong area is likely to be restored soon. "People have been rendered homeless. 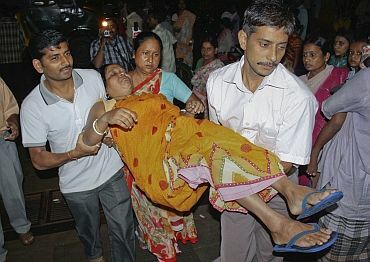 About 700 personnel have been roped in for the rescue mission," ITBP Director General Ranjit Sinha said. He said villages near Pegong were drastically affected in the 6.8 richter scale quake that jolted most of the northern states. Sikkim Chief Minister Pawan Chamling visited the quake-hit areas in and around the capital town to assess the extent of the damage. The chief minister announced an ex-gratia compensation of Rs 5 lakh for the kin of the deceased, Rs 50,000 for those grievously injured and Rs 25,000 for those with minor injuries. In Delhi, Prime Minister Manmohan Singh announced Rs two lakh as ex-gratia to next of kin of those killed in the earthquake and Rs one lakh each for those seriously injured. Several tourists from West Bengal were stranded in Gangtok, Namchi and Kumgon in Sikkim with most of the connecting roads cracked open or blocked due to landslides. Nine people have died in different areas of north Bengal, Chief Minister Mamata Banerjee, who visited Kurseong in Darjeeling district, said. In Bihar, eight people have died and several houses have been damaged in four districts. While Darbhanga alone accounted for four deaths, one each was reported from Nawada, Nalanda, Bhagalpur and Sheorhar districts, officials at the state headquarters said. 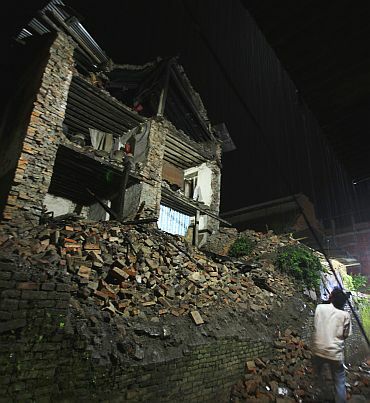 Chinese state-run news agency Xinhua reported that at least seven persons have been killed and 22 others injured in Tibet in the quake which has caused landslides and disrupted traffic, power and water supplies as well as telecommunication in Yadong County, an area 40 km away from Sikkim. 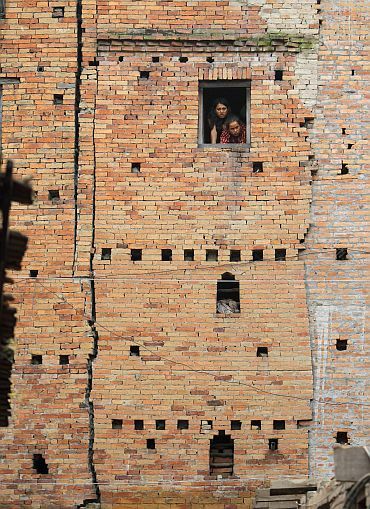 Three people were killed at Lainchaur in Kathmandu, two in Sunsari district, and one each in Dhankuta and Sankhuwasabha districts in eastern Nepal, according to home ministry sources in the Nepalese capital.